David Bruton is done with football. The former Broncos and Redskins safety confirmed that he is not seeking work for the 2017 season. The longtime special-teams captain of the Broncos also acknowledged that he had less passion for the game than when he started out. After playing 108 career games – 104 with the Broncos, four with the Redskins – Bruton is appreciative of his time in the NFL, but he’s also had enough. We here at PFR wish Bruton the best in retirement. Less than a week after getting waived by the Redskins, David Bruton has gotten his first audition. ESPN’s Adam Caplan tweets that the veteran safety worked out for the Ravens. Bruton joined the Redskins this past offseason on a three-year, $9MM deal. In four starts with his new team, the defensive back compiled 28 tackles, one sack, and two passes defended. Bruton was placed on the injured reserve in early October with a concussion, and he was waived from the team’s reserved/injured list last week. As our own Zach Links pointed out, the safety ultimately collected $3.4MM for his four starts in Washington. At only 29-years-old, Bruton should have plenty left in the tank, and the former fourth-rounder is less than a year removed from a career season. In 2015, the safety set career-highs in tackles (49), sacks (one), passes defended (seven), and interceptions (two). In seven years with Denver, Bruton only missed eight regular season games. It’s uncertain how Bruton would fit on the Ravens, as the team is currently rostering five safeties. Eric Weddle and Lardarius Webb are entrenched as the team’s starters, and Matt Elam, Anthony Levine, and Marqueston Huff are fine backups. For what it’s worth, the Ravens do have four defensive backs on the injured reserve in Kyle Arrington, Sheldon Price, Jumal Rolle, and Kendrick Lewis. The Redskins announced that they have waived safety David Bruton from the reserved/injured list. In related moves, cornerback Dashaun Phillips has been promoted to the active roster and tackle Blaine Clausell has been waived. After spending the first seven seasons of his career with the Broncos, Bruton joined the Redskins on a three-year, $9MM deal in March. In 2015, he set career highs in several categories, including tackles (43), interceptions (two), and passes defended (seven). Unfortunately, he was not able to keep the momentum going in D.C. and was placed on IR in early October because of a concussion. Bruton ended up collecting $3.4MM from the Redskins for four appearances, all starts, to go with 28 tackles and a sack. Assuming he clears waivers – and it’s a good bet he will – Bruton will be eligible to sign with another club. 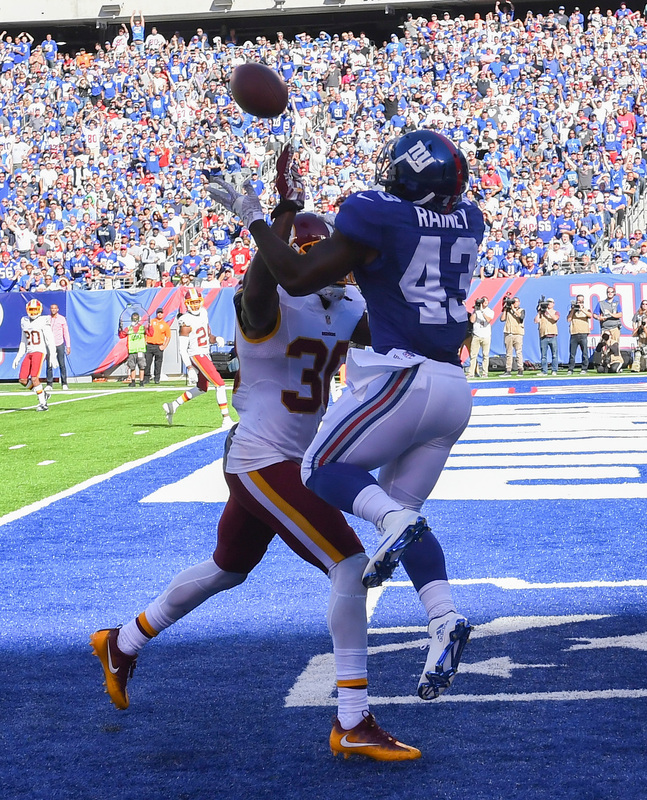 Phillips, 25, started in two of three appearances with the Redskins earlier this year, and has seen action in nine of Washington’s games since last season. The 2014 undrafted free agent from Tarleton State previously spent time with the Cowboys and Jets organizations. The Redskins will place safety David Bruton on IR, according to Master Tesfatsion of The Washington Post (on Twitter). It’s not immediately clear what the injury is or if Bruton will be a candidate to return later this season. Bruton’s injury would explain the Redskins’ signing of Donte Whitner earlier today. With Bruton out, the Redskins are down one starter and Whitner should provide some valuable veteran depth. Since he is just getting acclimated to the system, it is fair to assume that Whitner will start out on the bench with Duke Ihenacho stepping into the starting role. The Bruton injury is yet another bad break for the Redskins secondary after DeAngelo Hall tore his ACL. Bruton signed on with Washington in mid-March on a three-year, $9MM deal. 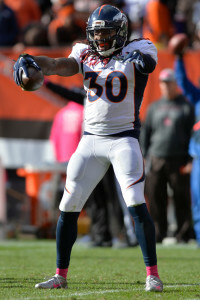 Bruton spent the first seven years of his NFL career in Denver, playing a key role for the Broncos team that won the Super Bowl last month. A special-teamer and a backup for most of his career, Bruton saw more action on defense in 2015 due to injuries, and set career highs in several categories, including tackles (43), interceptions (two), and passes defended (seven). It makes sense, then, that there would be growing pains for young receivers, regardless of the scheme their college might have run. Only a select few players have been able to establish a consistent rapport with Tom Brady over the years, but thus far 2016 fourth-rounder Malcolm Mitchell has shown an early aptitude in making the transition that has baffled so many others. Jimmy Kempski of PhillyVoice.com takes a way-too-early look at the Eagles‘ draft needs for 2017, a list that is currently headlined by the offensive tackle position. Philadelphia looks as if it will field the oldest offensive line in the league for the second consecutive season, and with Jason Peters‘ career coming to an end soon, the Eagles will need to continue to stock up on bookends. 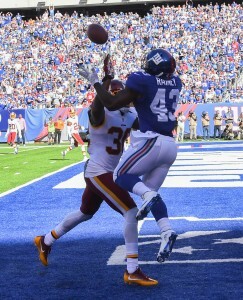 Former Broncos safety David Bruton, who signed a three-year deal with the Redskins in March, was brought to Washington to bring some semblance of stability to the team’s safety position, an area that has been a consistent weakness for the Redskins over the past decade. Both Rich Tandler and Tarik El-Bashir of CSNWashington.com believe that Bruton will open Week 1 as the starter at strong safety over former Denver teammate Duke Ihenacho, particularly since Bruton has been taking virtually all of the first-team snaps at the position in offseason workouts. But, as is always the case with Washington’s safety depth chart, the situation will remain fluid. Anthony Chiang of PalmBeachPost.com takes a look at where each of the Dolphins‘ 2016 draft choices stand entering training camp. Both Laremy Tunsil and Xavien Howard, the team’s top two selections, have a good chance to become starters in their rookie campaigns, but both will need to make considerable strides in training camp to do that. Third-rounder Leonte Carroo, meanwhile, might have been the most impressive rookie in offseason workouts and already looks primed for a significant role in Miami’s offense. The Cardinals could still probably use Dwight Freeney this season, but depth chart and financial issues are complicating a reunion. The former All-Pro’s most recent employer plans to see what its younger pass-rushers are capable of before committing to another Freeney contract, Kent Somers of the Arizona Republic reports. Chandler Jones‘ arrival via trade fills a key need for one of the Super Bowl favorites, with less-experienced incumbents Alex Okafor and Shaq Riddick, along with CFL signee Tristan Okpalaugo representing the younger contingent opposite Markus Golden that are causing the team to pass on signing the 36-year-old Freeney for now. Another matter comes from Arizona’s preference to sign either Tyrann Mathieu, Michael Floyd or Calais Campbell to an extension this year, with the team’s preference that it be Mathieu. The Cardinals possess $4.6MM in cap space and could probably afford Freeney on a veteran-minimum-type deal — the former Syracuse star played for $875K with $800K in incentives upon signing during last season — but are willing to gamble the productive situational sack artist will be available if they need him. Freeney has visited the Falcons and Bengals in the last two weeks but indicated a seeming preference to return to Arizona, where he registered nine total sacks (one in the playoffs) in 12 games. Like Steve Keim, Dan Quinn didn’t rule out a signing down the road, so some options still likely exist for the former first-round pick. Here’s the latest from around the NFC. The Vikings are assembling one of the most experienced offensive lines in the NFL, but as OTAs progress, they don’t have a certain place in their starting lineup for Joe Berger. Pro Football Focus’ second-best center last season, Berger returns to the backup center spot he occupied before John Sullivan‘s season-ending injury last August. Minnesota should find a way to try him at another position — which would almost certainly be guard if the Vikes intend to do so — to maximize their talent up front, Sid Hartman of the Minneapolis Star-Tribune writes. Berger rated as by far the best Vikings blocker last season, per PFF, and has started 26 games over the past two seasons after starting nine in his previous three campaigns in the Twin Cities. Hartman indicated next week the Vikes might reshuffle their line, which now houses Alex Boone and Andre Smith as potential right-side starters, in the near future. DeAngelo Hall looks prepared to claim one of the Redskins‘ starting safety positions, Tarik El-Bashir of CSNMidAtlantic.com writes. The 32-year-old Hall made the switch last season, but this represents his first full offseason working as a safety. He rated as Pro Football Focus’ No. 57 safety last season. David Bruton leads the competition for Washington’s strong safety spot. David Bruton, S (Washington): Three years, $9MM. $3.4MM guaranteed. $2.5MM signing bonus. $500K annual playing-time escalator in 2017 and 2018. $500K in incentives in 2018 (Twitter links via Master Tesfatsion of the Washington Post). Paul Soliai, DT (Panthers): Two years, $6.5MM. $3MM guaranteed. $2MM signing bonus. $740K in annual per-game active roster bonuses. $500K roster bonus due on the fifth day of the 2017 league year (Twitter link). Leodis McKelvin, CB (Eagles): Two years, $6.2MM. $3MM guaranteed. $500K signing bonus. $1.2MM bonus due on fifth day of 2017 league year. $100K Pro Bowl incentive. $350K playing-time incentive (Twitter link). Cory Harkey, TE (Rams): Three years, $5.7MM. $2.5MM guaranteed. $500K roster bonus due on 10th day of 2016 league year. $500K roster bonus due in 2017, guaranteed for skill and injury (Twitter link). Rolando McClain, LB (Cowboys): One year, $4MM. $750K signing bonus. $1.25MM base salary. $2MM in per-game roster bonuses. Up to $1MM in playing-time and playoff incentives (Twitter link). Rhett Ellison, TE (Vikings): One year, $1.75MM. $100K signing bonus. $790K in per-game active roster bonuses. Up to $500K in incentives (Twitter link). Chris Givens, WR (Eagles): One year, minimum salary benefit. $80K signing bonus. $100K of $760K base salary is guaranteed (Twitter link via Les Bowen of the Philadelphia Daily News). Mike Wallace, WR (Ravens): Two years, $11.5MM. $4.5MM signing bonus. $1MM roster bonus due on fifth day of 2017 league year. Option for second year to be exercised/declined prior to end of 2016 league year (Twitter links). Matt Moore, QB (Dolphins): Two years, $3.55MM. $2.25MM guaranteed. $750K signing bonus. $1.25MM in annual incentives (Twitter link). Sean Spence, LB (Titans): One year, $2.5MM. $500K signing bonus. $500K in per-game active roster bonuses (Twitter link). Robert Turbin, RB (Colts): One year, minimum salary benefit. $80K in incentives for rushing yards (Twitter link via Tom Pelissero of USA Today). Washington has signed free agent safety David Bruton after hosting him for a visit, the team announced today via a press release. Per Mike Garafolo of FOX Sports (via Twitter), Bruton will get a three-year deal worth $9MM, with another $1.5MM available via incentives. Bruton, 28, had spent the first seven years of his NFL career in Denver, playing a key role for the Broncos team that won the Super Bowl last month. A special-teamer and a backup for most of his career, Bruton saw more action on defense in 2015 due to injuries, and set career highs in several categories, including tackles (43), interceptions (two), and passes defended (seven). While Bruton figures to continue contributing on special teams in Washington, he may also got the opportunity to compete for a starting job. 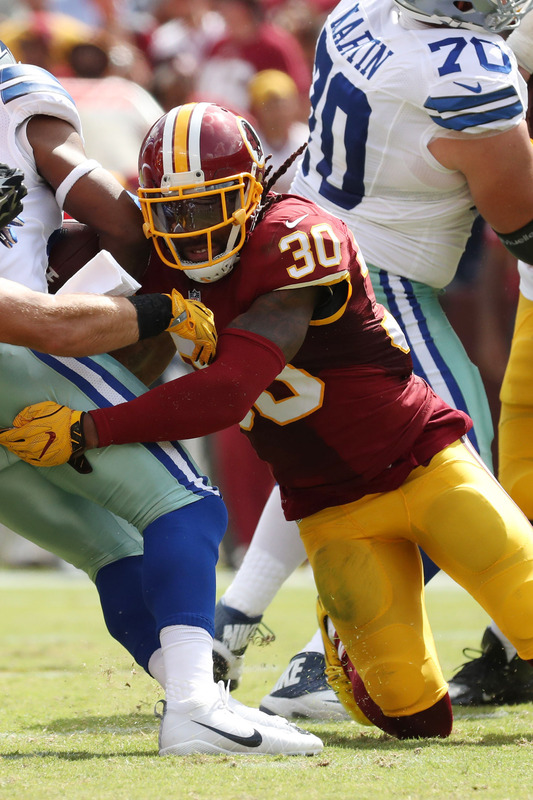 The club is somewhat thin at the position, having recently released Dashon Goldson. Bruton is the latest free agency departure for the Broncos, who have lost higher-profile players like Brock Osweiler, Malik Jackson, and Danny Trevathan. Although Bruton wasn’t a top-50 free agent like those players, he earned a spot on our list of the top free agent safeties available this offseason, ranking 12th. Now that they’ve agreed to sign offensive tackle Ryan Harris, the Steelers are out of the running for free agent tackle Russell Okung, a source tells Pro Football Talk (Twitter link). It’s not clear if the Steelers are also out on Kelvin Beachum – since he’s their own free agent, they may be more willing to bring him back – but it seems clear that they’re willing to let him walk if he gets a better offer elsewhere. With the Steelers no longer in contention for Okung, that likely reduces the field of suitors for the former first-round pick to three teams — the Seahawks, Lions, and Giants. Harris almost certainly won’t earn as much on his new deal as guys like Okung and Beachum will on theirs, but his signing may have given the tackle market the push it needs to get other players signed. Stay tuned. Let’s round up a few more free agent rumors and updates from across the league…. After losing one of their wideouts – Chris Hogan – to the division-rival Patriots, the Bills are taking a look at another free agent receiver from the AFC East. Adam Caplan of ESPN.com reports (via Twitter) that Buffalo is bringing in ex-Jet Jeremy Kerley for a visit. Having recently been cut by New York, Kerley would likely compete for the No. 3 receiver spot and punt-return duties if he were to sign with the Bills. Washington hosted safety David Bruton on a free agent visit on Tuesday, a source tells John Keim of ESPN.com. Bruton, a special-teamer who held his own when forced into action on defense for the Broncos, recently told Arran Anderson of KMGH-TV (Twitter link) that Denver had expressed interest in re-signing him, but he wanted to explore the market if the price wasn’t right. Free agent defensive back Antonio Allen, who missed the 2015 season due to an Achilles injury, is visiting the Texans, tweets John McClain of the Houston Chronicle. Allen made 18 starts in the Jets’ secondary from 2012 to 2014. Linebacker Shea McClellin is making a visit with the Seahawks, per Caplan (via Twitter). The Bears recently signed Jerrell Freeman and Danny Trevathan, signaling that McClellin’s time in Chicago has likely come to an end. Clarence Hill of the Fort Worth Star-Telegram confirms (via Twitter) that the Cowboys‘ previously-reported visits with cornerback Leon Hall and defensive end Chris Long will both take place on Wednesday.